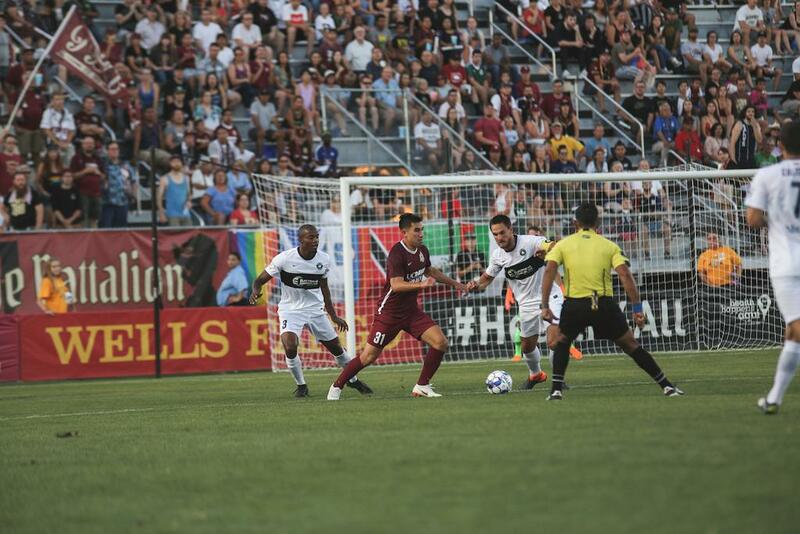 Republic FC concede two late goals to draw 2-2 at home on Saturday night. 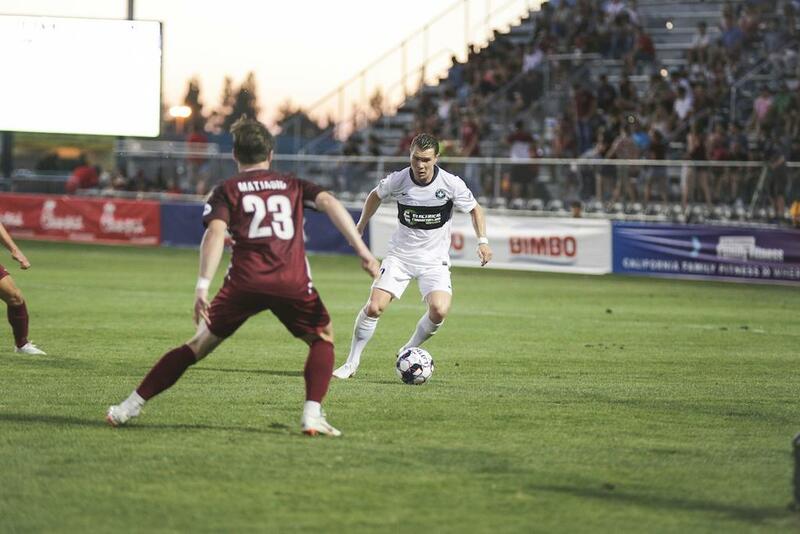 Sacramento Republic FC conceded a late equalizer to draw 2-2 with Saint Louis FC at Papa Murphy’s Park on Saturday night. 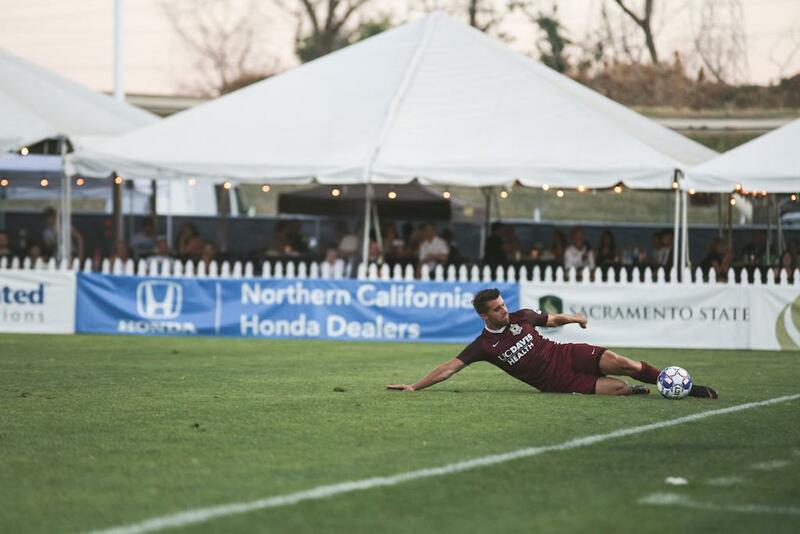 Cameron Iwasa’s brace put him within a goal of tying the all-time club scoring record in league play, but it was not enough as two late goals from the visitors limited Republic FC to taking just a point from the match. After two near misses in the first 20 minutes, Cameron Iwasa produced the first goal in the 28th minute off a counterattack. The forward charged at the scrambling Saint Louis backline, beating defender Sean Reynolds cleanly before placing a perfectly placed left-footed shot past Tomas Gomez who could only watch as the ball went past him for the opening goal. Iwasa added his second just minutes into the second half. In the 47th minute, Jaime Villarreal threaded a through ball that split the defense set Iwasa clear on goal. The forward sent another left-footed strike into the corner of the net to beat Gomez again and double his goal total. The two strikes add to Iwasa’s team-leading tally, giving him seven on the season and 19 all-time in USL for Republic FC. Iwasa trails only Rodrigo Lopez by one goal, who scored 20 USL goals for Sacramento. Iwasa nearly added a third just moments after his second strike, but was denied by the far post. Saint Louis began their comeback in the 72nd minute. After an initial headed attempt on goal hit the crossbar, keeper Josh Cohen deflected a second shot, but Albert Dikwa was able to finish on the third chance. Dikwa’s shot from inside the box ricocheted off the Republic defense and into the back of the net. Midfielder Wal Fall nearly headed the equalizer home a few minutes after Dikwa, but Fall was not able to beat Cohen. 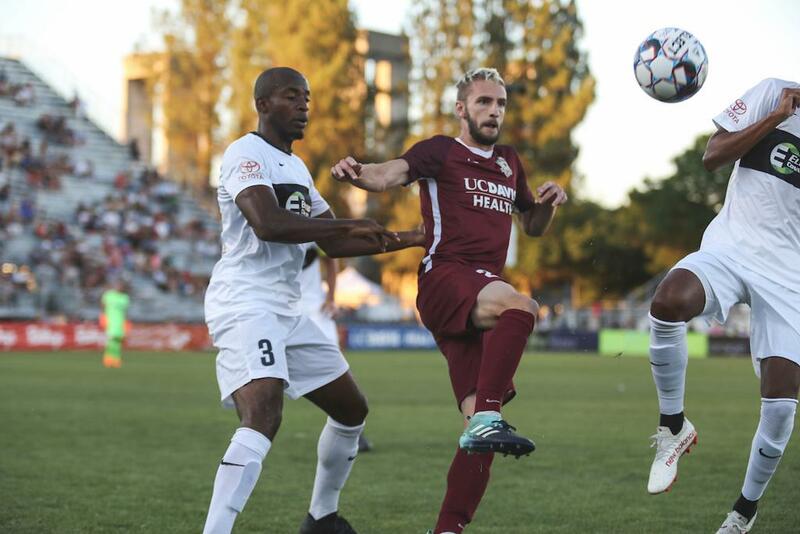 Fall would ultimately prove influential, grabbing the 90th-minute equalizer that spoiled Republic FC’s night and rescued a point for the visitors. After a foul was called on the edge of the Sacramento 18-yard box, Fall bent the free kick perfectly into the upper corner. Although Republic FC had a couple more chances in stoppage time, the match would end in a 2-2 draw. Republic FC will continue their 2018 USL schedule when they travel to Fresno on Saturday, June 30. Kickoff is scheduled for 7 p.m. at Chukchansi Park and the match will be broadcast on KQCA My 58, Estrella TV, and ESPN+. 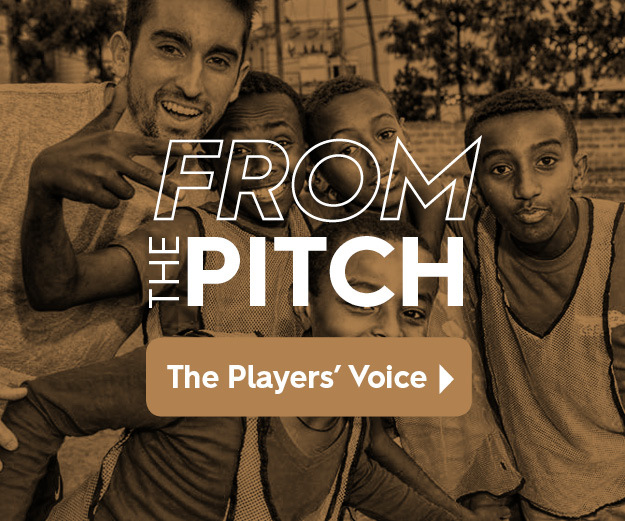 Saint Louis FC – Tomas Gomez, Phanuel Kavita, Sean Reynolds, Sam Fink, Aedan Stanley, Joey Calistri (Seth Rudolph 60), Lewis Hinton, Wal Fall, Kyle Culbertson (Kadeem Dacres 59), Albert Dikwa (Austin Ledbetter 90), Kyle Greig. Subs Not Used: Jake Fenlason, Austin Martz. Stats: Shots: 13, Shots on Goal: 3, Saves: 3, Fouls: 10, Corner Kicks: 8, Offside: 2. 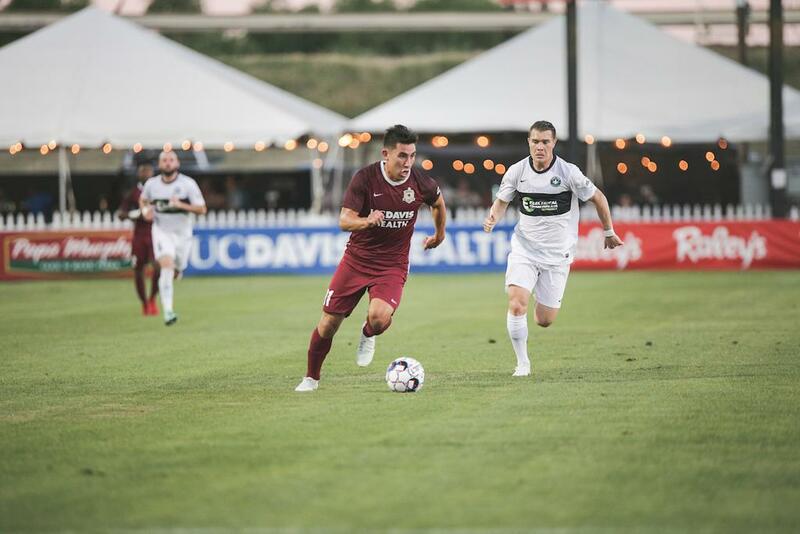 Sacramento Republic FC – Josh Cohen, Josh Turnley (Justin Schmidt 78), Carlos Rodriguez, Mitchell Taintor, Shannon Gomez, Villyan Bijev (Adam Moffat 72), Jeremy Hall, Jaime Villarreal, Jure Matjasic (Wilson Kneeshaw 60), Luis Espino, Cameron Iwasa. Subs Not Used: Rafael Diaz, Hayden Partain, Christian Eissele, Elliott Hord. Stats: Shots: 16, Shots on Goal: 5, Saves: 1, Fouls: 13, Corner Kicks: 4, Offside: 0.